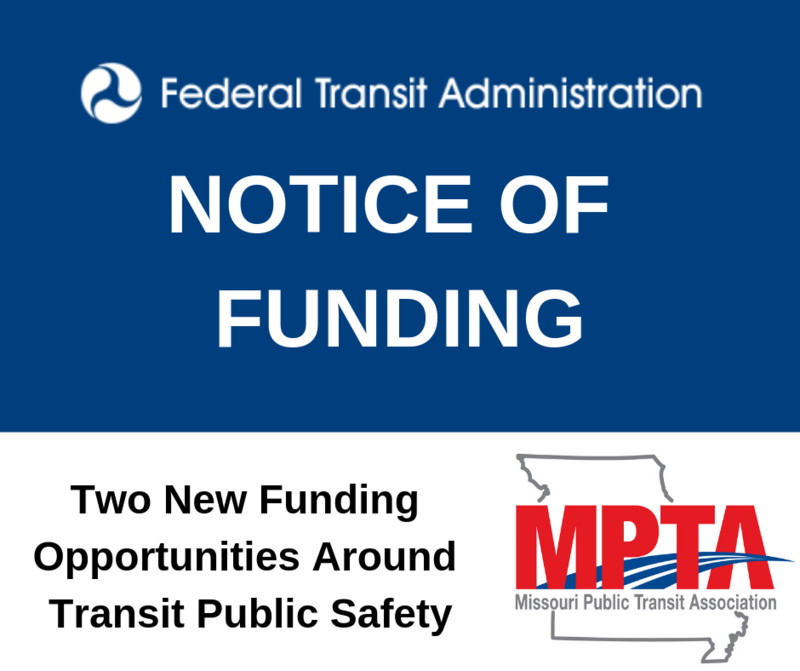 1) Innovations in Transit Public Safety due 5/28 – FTA announces the availability of $2 million in funding provided under the Public Transportation Innovation Program. The primary purpose of these competitively selected grants is to identify innovative solutions to reduce or eliminate human trafficking occurring on transit systems, protect transit operators from the risk of assault, and reduce crime on public transit vehicles and facilities. 2) Crime Prevention and Public Safety Awareness due 5/28 – FTA announces the availability of $2 million in funding provided under the Technical Assistance and Workforce Development Program. The primary purpose of these competitively selected grants is to develop and disseminate technical assistance materials supporting public safety awareness campaigns addressing public safety in transit systems, including crime prevention, human trafficking, and operator assault.